We are thrilled to announce the launch of our newest ground-breaking social media campaign for California Lincoln Dealers – the Best of California. The California Lincoln Dealers handed Flash Point the keys to the brand new 2011 Lincoln MKX, tasking us with the challenge of building awareness and interest in the technologically advanced luxury cross-over SUV through an innovative, cutting-edge social media campaign. 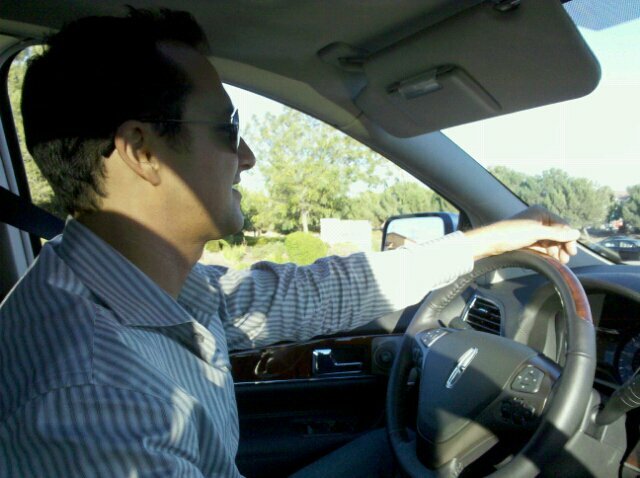 We rose to the occasion with a turn-key solution that highlights the vehicle’s features in an aspirational yet approachable manner, communicating across a comprehensive social media platform to a broad range of audiences – both Lincoln enthusiasts and those sharing an interest in the great state of California. Playing off of MKX’S “Best in Class” technology, Flash Point conceived the Best of California campaign to bring together the “best of the best” in a road trip-style story. The campaign follows actress / model Vane Millon on a road trip across California in a 2011 Lincoln MKX, documenting her various destinations as well as demonstrating key features of the MKX. Vane (accompanied and documented by our very own CEO/President Scott Empringham)is posting a series of videos over the course of the road trip, showcasing the 2011 Lincoln MKX in the context of “The Best of California” – sharing with this vehicle’s amazing technological advancements as she explores the exciting sites, points of interest and local businesses in the Golden State. Not only can viewers follow the lovely Ms. Millon’s movements through postings on the official Best of California blog, and Facebook page, along with the the California Lincoln Dealers , YouTube videos, and Twitter posts, but they can also join in the fun during her road trip by participating in events where Vane makes live appearances throughout her journey. These public events at each key destination will take place at local retail businesses, providing opportunities for fans to come out and meet Vane and the team, and get a “first look” at the ’11 MKX! And to make it even more of a WIN-WIN, the campaign is bringing attention to local culture and driving customers to benefit local economies. As an added hook to get fans involved, they can vote for their favorite participating retail business through the California Lincoln Facebook fan page, as they compete for the title of “Best of California Business.” The winner will be announced at the campaign’s final destination in San Diego. Vane (and team) kicked off her road trip on September 27 in Sacramento, and has made her way through San Francisco and Monterey. She will continue through Palm Springs and Los Angeles to her final destination of San Diego at the end of October. 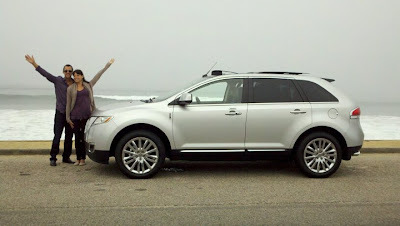 Check back frequently to follow Vane on our adventure with the ’11 Lincoln MKX!